With the ever increasing need to be connected digitally, busy people are looking for ways to escape technology and find themselves again. Time is a precious commodity and often we struggle to find quality-time to do the things that make us feel good. On average, it takes 66 days before a new behaviour becomes automatic. This time frame can vary depending on the person, circumstances, and behaviour. From results from global studies, it can take anywhere from 18 days to 254 days for a person to form a new habit. Creating an active and healthy lifestyle is important to most of us but it’s not always easy to get started. We must hold onto that and the belief that change is possible and that with practice things get easier. This gentle form of exercise together with peaceful moments have shown to have powerful, even life-changing effects on our happiness, physical and mental health. Yoga is a universal language that can be enjoyed everywhere and anywhere in the world. Today, more and more travellers are looking for new experiences in less busier destinations. Wollongong is a town located in New South Wales that has always been underestimated. Easily accessible from Sydney International Airport, Wollongong is a mere hour-long train trip away. There are many public transport options, trains, taxis and buses, as well as a free bus system that was implemented to help people get from the main city locations to places such as the university and the centre of town. Known as where the city meets the sea, it is surrounded by unforgettable beaches which are not only as beautiful but also a lot less crowded. In comparison, in Sydney’s famous Bondi beach that attracts crowds of thousands, Wollongong beaches rarely have more than a hundred. The most popular is North Beach, where you can also find a plethora of seafood restaurants which boasts fresh, local seafood daily. You may also want to visit the iconic lighthouse, standing on the top of the hill overlooking both North and South beaches from one spot. 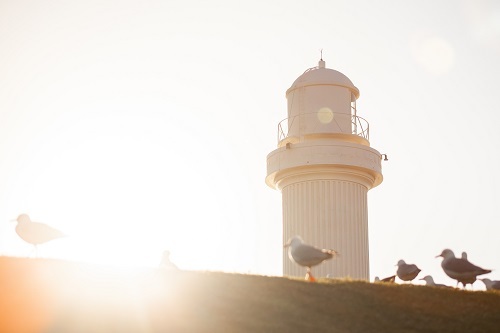 Sydneysiders looking for a quiet and relaxing getaway often head to Wollongong. Health-conscious travellers love visiting Wollongong not only for its quieter beaches. The ‘Gong’ as it’s affectionately referred to by its locals is also the third largest city in NSW. It’s here that you can explore the Royal National Park, view the spectacular beauty from Bald Hill Lockout and cruise along the famous Sea Cliff Bridge, one of Australia’s more picturesque coastal roads. Attending a Yoga retreat can change lives but finding the right one is often difficult especially when you’re visiting a new city. Kahvah Yoga is located in Keiraville, an inner-city suburb of Wollongong and within the confines of the Illawarra area. 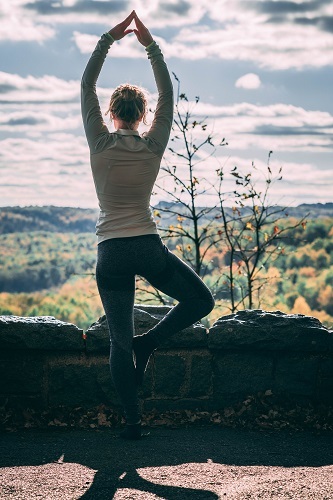 This small yoga space offers regular retreats for those of us who just cannot get enough of the mellow, calming rituals associated with this form of philosophy and physical activity. These two powerful elements help to forge a harmony of the body, mind and spirit. The practice and philosophy of yoga is a complex system of attitudes and principles, rather than being merely exercise. Yoga practitioner, Tehla Bower, has been practicing yoga for over twenty years. She is a level two teacher, accredited through Yoga Synergy, and also an active member of the Yoga Alliance. Her yoga journey began when she was just a teenager and took classes at her university where her love of yoga was unleashed. Ever since she has been an avid yoga enthusiast, sharing her passion through the Kahvah Yoga community. Her training for her professional yoga career was completed with international yoga expert, Simon Borg-Olivier and as such her teaching method incorporates Simon’s spinal movement sequence and Yoga Synergy’s Hatha yoga inspired methods. This is a form of yoga that can be shared with people of any physical ability and fitness level, from beginners to yoga experts. Globally, Hatha yoga has become a popular form of exercise with a focus on health and well-being. Many of us do yoga for its physical benefits such as improved balance, strength and greater flexibility. Kahvah Yoga is a place to explore and engage in all techniques that serve the deeper purpose of yoga through spiritual practice. Tehla is a fully-accredited yoga practitioner who is primarily focussed on the techniques and practices of Hatha yoga in a fun and enriching way. The practice of yoga can be an enjoyable experience for everyone who joins either for a class, workshop or retreat. She teaches and encourage everyone who wishes to try yoga to join a class and give it a go. Yoga is a unique experience, not only does it draw us closer to our centre, it can draw us towards a more fulfilling purpose. The space ‘Kahvah’ is made up from the first and last three letters of each of Tehla’s daughters names. Tehla dedicated the name to Kahlan and Avah for the love, happiness and joy that they have brought to her life. The Kahvah Yoga space is located about ten minutes from the centre of Wollongong and easily accessible by bus, as the local free shuttle runs from Wollongong Central to Keiraville on the university route. Tehla runs private and small group classes that are suitable for both genders and any level of fitness. Prices are very reasonable, for those looking for a one-on-one private yoga and meditation session. Tehla-Jane as she is known on social media, offers 60-90-minute sessions either indoors or outside on a yoga deck. No experience is necessary, all sessions are tailor-made to suit your needs and yoga mats and equipment are provided in the cost. Private sessions are booked by appointment. Group yoga classes are under $20 per person, while yoga retreats start from $60 per person and vary depending on the location and length of the fitness and wellness event. The classes combine both movement and traditional poses to stimulate your body and work on your posture, strength, flexibility, energy and mindfulness. Throughout the year, Tehla runs regular yoga retreats for those looking for a getaway in nature. There are two yoga retreats coming up in the near future, but if you miss out don’t worry! There are regular yoga classes, retreats and workshops scheduled throughout the year. Friday morning small group classes are commencing soon, and a workshop on the ‘power of breath in yoga’ in June. The first of the two will take place at the end of May, from Saturday the 25th to Sunday the 26th but as we write this article it has sold out. This retreat is so popular among the locals of Wollongong that the early bird pricing is snapped up quickly, hence why the retreat is full already! The May 2019 retreat costs up to $350 per person. The cost includes your night of accommodation as well as meals, yoga practice and activities hosted throughout the event. The best part for those of us who book early is that the first three bookings are eligible for a private room at no extra cost. The numbers remain minimal as this gives the best experience for those attendees as they have the undivided attention of the yoga instructor for the two-day event. This is another reason why these events sell out so fast. 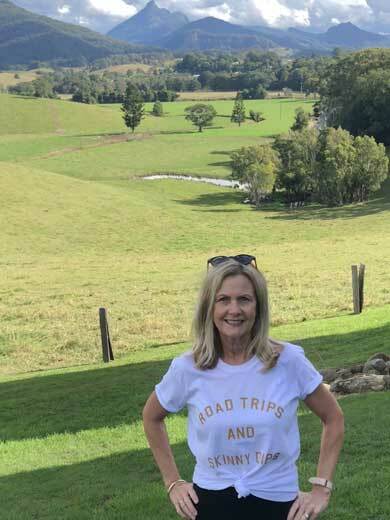 Arrival is before 2pm on the Saturday afternoon and departure is before 11am on the Sunday morning, making the most out of the time that you spend in the beautiful rural farm stay in Tongarra. It is about a half hour drive from central Wollongong and can be found in the foothills of Macquarie Pass. It is known for its abundant natural prowess and home to some of the most amazing and accessible waterfalls in the area, found deep in the immense rainforests. 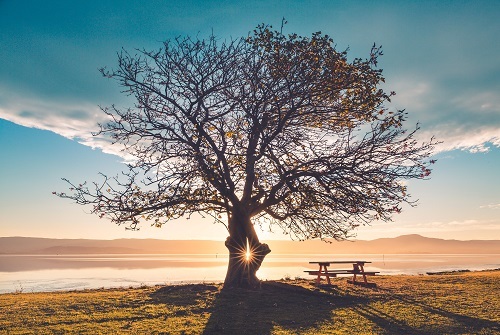 The environment that surrounds the accommodation is utilised by the retreat in order to connect on a higher level with nature and is a focus for those attendees that make the journey to the mini retreat. Activities included in the two-day retreat are yoga sessions held in the gardens encapsulating the beauty of the property, bush walks along the Cascades Fall path that take you deep in the rainforest where you can partake in ‘forest bathing’ or Shinrin-yoku as it is more formally known. 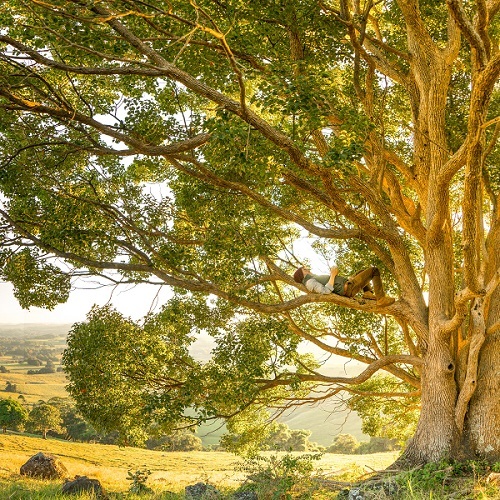 The practice of forest bathing was developed in Japan during the 1980s and has become a cornerstone in Japanese healing medicine and preventive health care. Today, the long tradition of forest therapy is practiced and embraced by different cultures throughout the world. Meditation takes place surrounding the indoor fireplace as well as animal philosophy readings and lastly yoga share sessions. Each activity has its own unique impact on the individuals undertaking them and will leave you with a greater sense of understanding and perhaps even awaken something deep inside of you that was hidden until now. Tourists to Wollongong should not miss visiting Nan Tien Temple in Berkeley, the biggest Buddhist temple in the southern hemisphere. ‘Nan Tien’ in Chinese, literally means ‘Paradise of the South’. In February a Buddhist Discovery Retreat was held at the Nan Tien Temple, just a ten-minute drive from Wollongong. The centre is highly recommended by participants and has a huge following and abundance of community support. 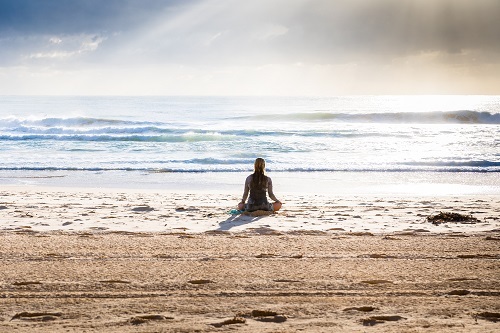 Whether you are choosing a weekend meditation retreat or yoga retreat, or even just a place to practice yoga in the Wollongong area, then this centre should definitely be at the forefront of your mind. All information regarding upcoming classes and activities can be found on the Nan Tien Temple website as well as detailed itineraries of all impending retreats. Make sure you book well in advance for the astounding opportunities offered and we are sure that you will not be left disappointed! For locals and visitors to Wollongong who wish to explore other yoga spaces, visit Ray of Light (Rachel Nokes) and Yoga Vidya Wollongong (Kelly Ryan), both are well established and experienced practitioners. Choosing the right yoga equipment can be confusing with so much choice available. 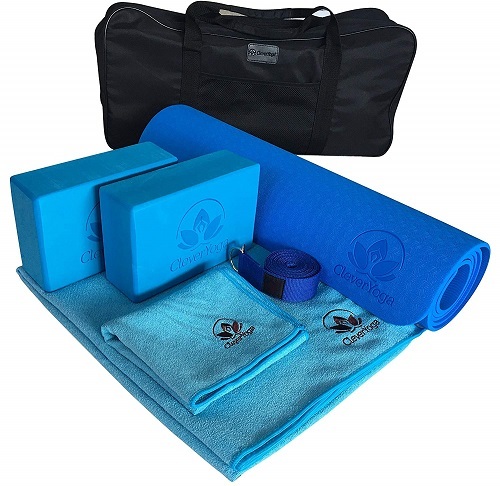 Clever Yoga offers yoga beginners an affordable range of yoga equipment like this 7-Piece yoga kit. Click here to check out my best 12 New Yoga Essentials. Yoga mat, yoga mat towel, 2 yoga blocks, yoga strap, yoga hand towel and free carry case. This 7-piece kit has everything you need to build a solid foundation or take your yoga to the next level. The yoga set can also be used to improve flexibility and balance or can be incorporated in gym and pilates workouts. It is exceptional value and unbeatable in quality.